Hey, please don’t get me wrong, I am not here to market any types of loans. I am against a personal loan. I just want to share with you, How banks are targeting prospective customers in a trap. As per me, one should manage finance in a manner that a situation does not arise to borrow money from anyone. But it is not always true. In life, we come across many emergency situations where we need money urgently. In such a situation of financial crisis personal loans are one which will come to your rescue. Well, the decision of taking a personal loan is entirely up to you. But, once you have made up your mind to avail the personal loan, the next challenging task for you is to find out the best bank offering personal loan. It is quite confusing as you will find multiple banks posting multiple lucrative offers in front of you. Apart from that, any gaps in evaluating a personal loan will cost you more money. In order to overcome these type of situation let’s take a look at 5 Best Banks for Personal Loan in India. Cost is the prime factor of consideration while selecting a personal loan. The interest rate payable on the personal loan should be minimum. Apart from the interest rate, one should also consider processing fees, administrative expense and documentation charges. Sum up all these expenses and compare to find out a cheapest personal loan. The second factor for consideration is convenience. It should be easy and convenient to apply for a loan, getting disbursement, making payments of a loan and keeping track of a loan. A processing time is next major factor. It is a time taken by the bank to process your request and credit your bank account with the loan amount. Ideally, it should take few hours for processing loan. The loan should not contain any restriction on closure. If you want to close loan before due date you should have freedom to do so. In addition to that bank should not attach any prepayment penalty or restriction whatsoever. Terms and condition of loan offer should be simple and clear. You should be able to understand them very easily. It should not contain multiple legal bindings and terms. After going through factors of selecting a personal loan. 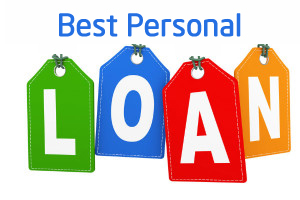 Let’s take a look at 5 Best Banks for Personal Loan in India. Also Read – Personal loan or Gold loan which is best option? ICICI Bank is one of the best banks for availing personal loan at a low-interest rate. ICICI bank offers fixed interest rate personal loan on monthly reducing basis. ICICI bank offers loan up to 20 Lakhs without any collateral. Personal loan tenure in ICICI bank varies from 1 year to 5 years. SBI Bank is one of the best banks for a personal loan. SBI offers a low-interest personal loan with interest charge on daily reducing balance. SBI offers three types of personal loans namely SBI Xpress Credit Loan, SBI Pension Loan, and SBI Saral Personal Loan. SBI offers a personal loan up to 10 Lakh. However, the loan amount will be variable based on your eligibility and income documents. Aditya Birla Personal Loan is given by Aditya Birla Capital. A personal loan by Aditya Birla is popular by name of abfl personal loan or abfl direct personal loan. ABFL provides online instant approval without any collateral. HDFC Bank Personal Loan Interest rate – 15% to 20.99% per annum. Axis Bank Personal Loan Interest Rate – 15.5% to 24% per annum. Whatever is your financial crisis and personal circumstances, you should compare features of all personal loans available in the market including cost factor. This will help you to take a wise decision while borrowing money.